Home > Credit Score > Why Did My Credit Score Drop? An airline credit card with an insane rewards program was released recently and you just have to have it. Or, the apartment of your dreams just popped up on Padmapper and you need your name on the callbox, like, yesterday. So –– naturally –– you use one of your free annual credit checks through Experian, Equifax, or TransUnion to check up on things, and suddenly you find yourself in crisis mode: why is my credit score lower than it was last time I checked? FREE consultation from the credit professionals. For many of us who have had a limited financial education, it can be hard to figure out how best to use credit. You might be a perfectly upstanding citizen who pays their bills on time every month, but it’s going to take more than that to keep your credit score low. Enter credit utilization. While your credit limit might seem like the number not to exceed on your credit card, experts actually recommend that to minimize negative credit impact, you should only be using 30 percent of your credit allowance. That means if you have a $9,000 credit limit, you should not exceed spending more than $3,000 before making a payment. This might seem a little counterintuitive, but the reality is credit restrictions like this are put in place to protect you. By spending much lower than your credit limit, you decrease your interest payments and ultimately your debt. If automatic pay isn’t an option with your bank or lender, it might be helpful to set a calendar alert every month to remind you to pay your bill. 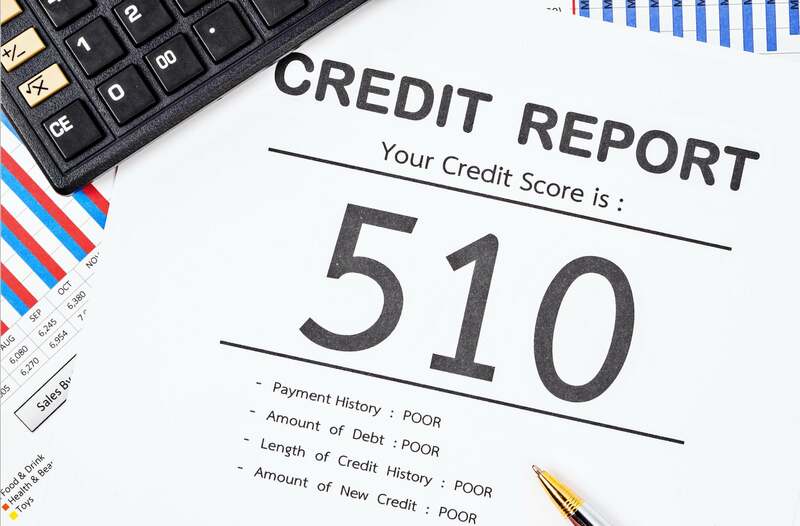 If this wasn’t simply an accident and you purposefully let the bill fall by the wayside due to constricted funds, consider talking to a credit repair agent to discuss your options. Especially if you’ve had good enough credit to open an elite credit card with an excellent rewards program, it makes sense that some of your very first credit accounts are collecting dust. It might seem financially responsible to clean house financially and close some of your older or neglected credit accounts, but consider this: your oldest accounts are also your greatest and longest source of credit history. If you close them, the pool of information that dictates your credit score will shrink, making you more vulnerable to credit report dingers. Instead of closing your old accounts, it might make sense to use them sparingly to your advantage. For example, maybe you only use one card when you fill up your car’s gas tank, and then pay it off right away. This kind of calculated credit maintenance will only help your credit score. Just don’t forget to pay the bill! You finally did it: you paid off that nagging, horrible student/car/home loan, and what do you get for it? A reduction in your credit score. So what gives? The reason paying off a loan can affect your credit is because it decreases the diversity of your credit in the eyes of lenders. This is similar to what happens when you close old accounts: when the number of credit resources decreases, your credit imperfections –– like missing a payment or two, or going over 30 percent on your credit utilization –– become more visible. While this might be frustrating, rest assured that the impact of paying off a loan will not have the same kind of enormity that other items on the list will. Paying off a loan is a major win, and should be celebrated accordingly. When you apply for any kind of credit, the lending institution will run what’s called a “hard inquiry” or “hard pull”, which is a formal credit check that requires your approval. This check is intended to give lenders an opportunity to evaluate your reliability as a loanee, and sometimes will take a few points off your score. While a few points here and there won’t ultimately impact your credit score, repeated attempts to secure new means of credit –– like persistently applying for credit cards that are out of your credit league –– will. Lenders think that you’re desperate for credit, which isn’t a good look for you, or your credit history. Make sure that when you are researching credit cards, you keep in mind your personal financial history, credit score, and payment reliability, so you can select and apply for a card that makes sense for you. If you’ve recently gone through a bankruptcy, foreclosure, or even a civil judgement, it probably isn’t a surprise to you that your credit has been impacted. Any abrupt changes to your credit can seriously affect the number that shows on your credit report. Unfortunately, unlike the scenarios listed in previous points, these derogatory marks are the result of what lenders consider major delinquencies –– in other words, significant implications about your ability to manage your finances.